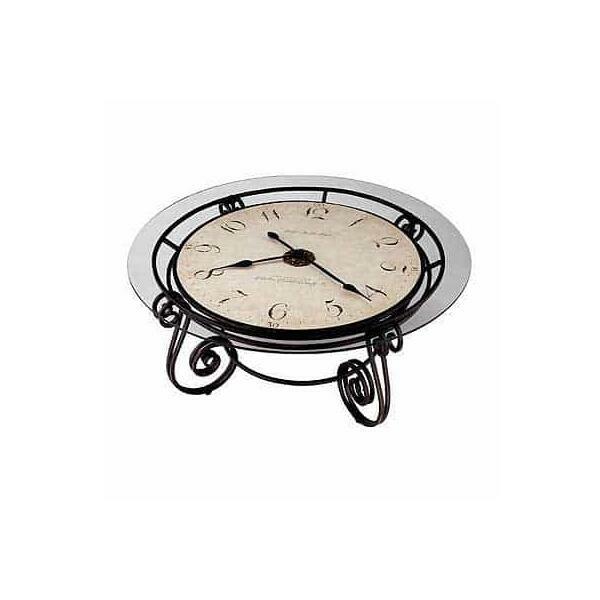 This handsome clocktail table treats form and function as one. Beautiful, decorative metal work surrounds an antique clock dial which is visible under a glass top. 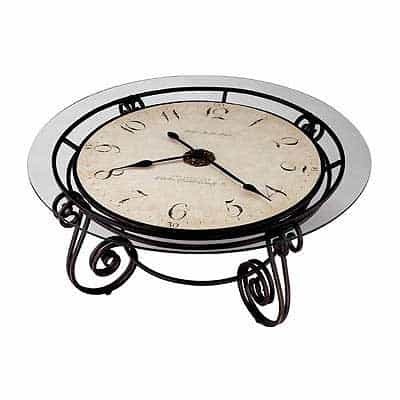 Features antique black hands and an antique medallion accented with gold highlights in the center of dial. Some assembly is required. Quartz, battery operated movement. The metal frame is finished in Burnished Umber with gold highlights. This item ships via UPS / FedEx. Most delivery times within the Continental U.S for in stock bar stools range from 2-5 business days depending on location. All in stock clock orders recieved before noon will ship that SAME DAY.